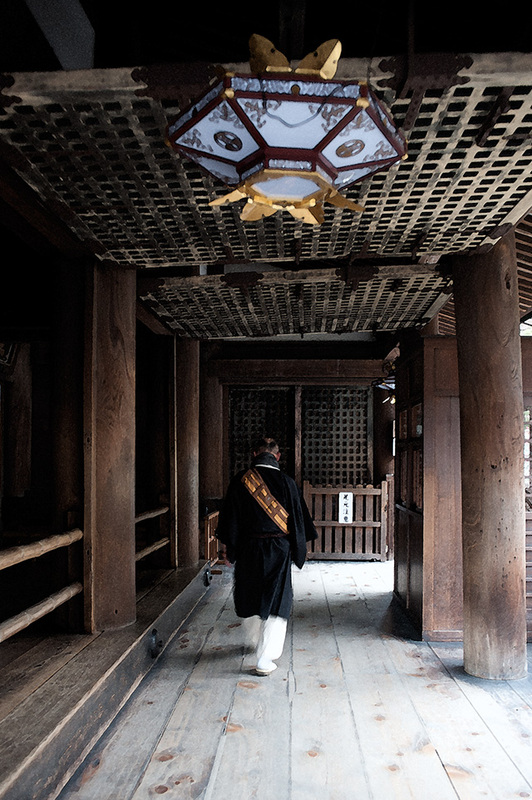 Buddhist priest walking along the hallways of Kiyomizu-dera （清水寺）in Kyōto, Japan’s ancient capital. Founded during the end of the Nara Period in 778, much of current temple complex dates back to the 1630s. In 1994, it was recognised to be part of the UNESCO Historic Monuments of Ancient Kyoto.